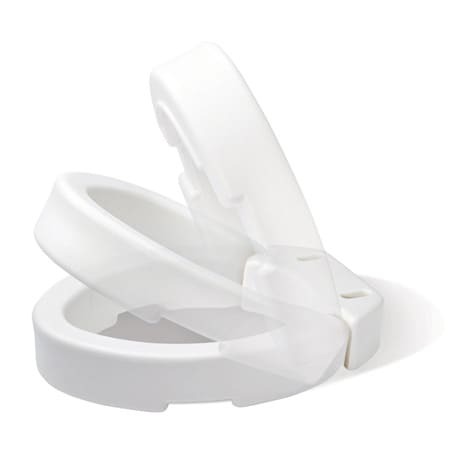 These hinged toilet risers add 3½" to the height of your toilet, minimizing the need for excessive bending - perfect for individuals with limited mobility. 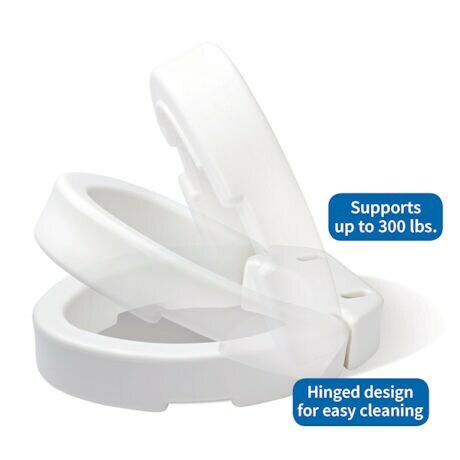 Installs quickly and easily between your existing seat and the toilet, featuring a hinged design for easy cleaning. Available in both round and elongated shapes.